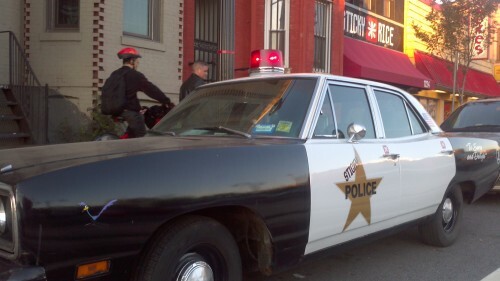 PoPville » Sticky Rice is Raffling Off Their Cop Car at the H Street Festival in Sept.
Sticky Rice is Raffling Off Their Cop Car at the H Street Festival in Sept.
Every $25 spent is good for 1 (one) raffle ticket. The winner MUST agree to leave the original paint job and logo untouched for 24 (twenty-four) months. The winner has the choice to drive the cop car to Sticky Rice DC and get 50% off of all food orders with the choice to have it served in the cop car. No past or present employees are eligible. Winner must be over the age of 18. Winner must be eligible to legally register the cop car in their name. car is delivered “as is” (Don’t worry… it purrs like a kitten).